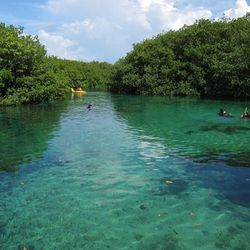 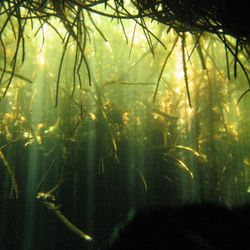 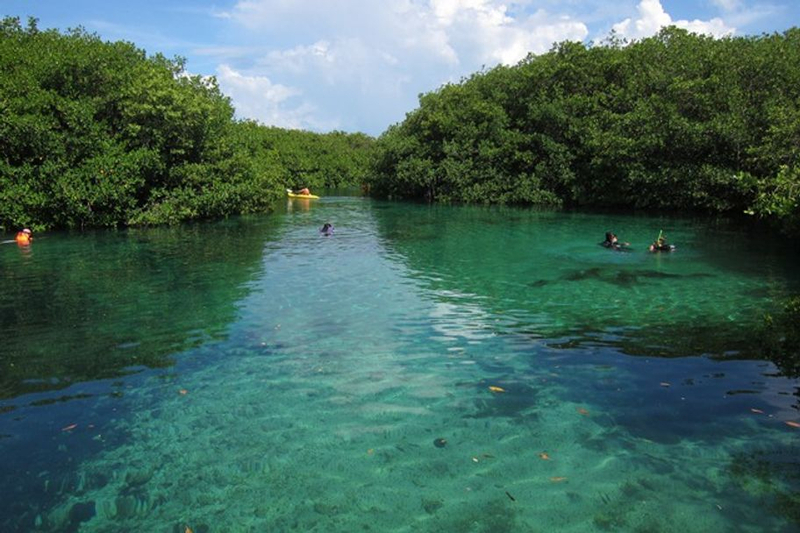 As one of the most interesting dives of the area, Cenote Tankah, also known as Casa Cenote (for the restaurant located nearby) or Cenote Manati (for the manatees which frequently used to swim in its waters), is located in the middle of a mangrove field, giving the diver the feeling of diving underneath the jungle. 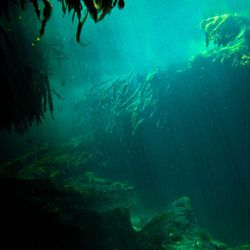 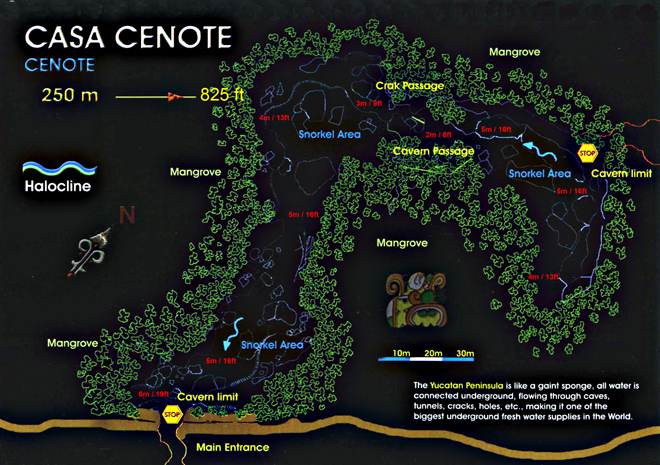 Cenote Tankah connects one of the longest underwater cave system, Nohoch Na Chich, with the ocean. 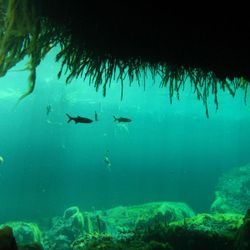 Due to the connection with the ocean, both fresh and saltwater fish live here. 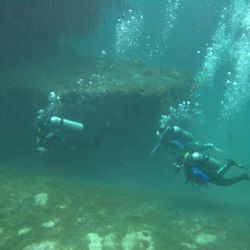 With big open areas, this site is perfect for novice divers and has lots of fauna from the wetlands and the sea. 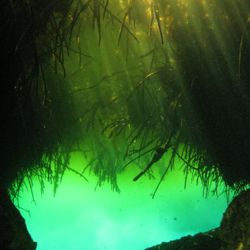 Also, with a halocline and nice light effects, the diver can enjoy moving through passages and cracks of limestone. 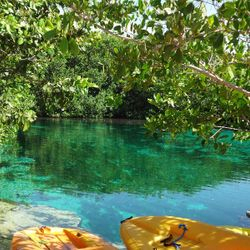 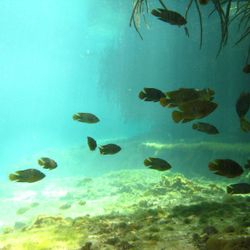 For the experienced diver, the cenote offers an alternative and a more challenging tour with unexpected surprises.